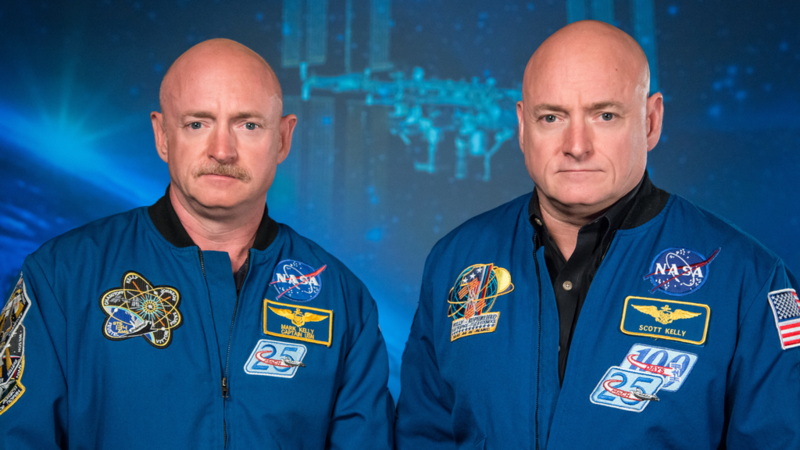 NASA Sent 1 Of 2 Twins One Year In Space. The Differences Are Shocking! In 2015 and 2016 NASA made a unique experiment on 2 astronauts, twins, sending 1 of them for 1 year in space while the other twin remained here on Earth. The results are here, and they are not what the scientists expected! The astronauts Scott and Mark Kelly were used as test subjects. Various tests were done on both of them to detect the genetic differences. One of the main reasons for doing this experiment was how long term space flights influence the human body. Even though we have people living in space for decades, we were unable to see the real physical and mental changes. The discovery of these changes are of key importance for long missions, like traveling to Mars. The results of the experiment were presented on 26th of January in Galveston, Texas and the scientists were surprised. It turns out that long time in space makes you younger. The telomeres (the end part of a chromosome) in Scott’s DNA grew larger than the ones in his brother’s DNA who stayed on Earth. That’s a BIG surprise to scientists. It’s completely opposite of what they expected to happen after long time in space. As we grow old, after each cell division the ends of our chromosomes become slightly smaller. That’s why we age and grow old. But it turns out that life in space slows down the aging process in the whole human organism. Once Scott returned on Earth, shortly after, the length of his telomeres normalized for reasons still unknown to scientists. They still do research on why this happens. There were other important differences. Based on stool samples from the twins, there was a sustained shift in the balance between two major groups of bacteria — Firmicutes and Bacteroidetes — in Scott’s gut while he was in space. Meanwhile, his brother Mark only experienced minor fluctuations in this balance during the same time period. Once he returned to Earth, though, Scott’s bacterial balance went back to the way it was before the mission. Just like his telomeres. “Some of the gut bacteria is normally introduced in the food, so we thought there might be a loss in some species,” says Vitaterna. It’s possible that the microgravity environment itself is to blame for the bacterial changes, but it’s going to be a while before Vitaterna and her team know for sure. They’re also eager to see what some of the other research teams come up with in the long run. For instance, there is a team focusing on how Scott’s immune system changed while in space, and the types of bacteria in the GI tract are partially influenced by changes in an individual’s immune function. “As we get more and more data from the 10 different teams together, it’s going to get more and more fun to look at this,” she says.